Hey there! If you're new here at LCC, we want you to feel at home. No matter your background or current situation, just know that this is a safe place, and we’re so glad to have you here. We also want you to know that there's a place at LCC that's perfect for you. Church is so much more than just a Sunday service. And if you're ready to get connected to our church, the best way to do that is to fill out the form below. 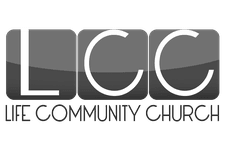 We want to walk with you as you get to know us here at LCC and start to get to know fellow LCCers. We have a few specific opportunities for you to start to get plugged in and learn more about us. These are all low key classes and hangouts following service on Sundays. Intro to Groups - Hear about our weekly groups that meet around the city and get help finding a good fit for you. Guest Reception - Our weekly Groups take turns hosting and hanging out in the Youth Area eager to meet you. We bring tasty snacks for an informal get together. Stop in after service and stay for as long as you like. This is a casual time and place to get to know some of our staff and fellow LCCers. Intro to LCC - Hear about who we are at LCC and what we believe, meet a few of our staff and have a chance to ask questions.